While the PSP Phone is getting closer and closer to becoming a real device and not only a rumour, we’re barely introduced to concepts of similar Xbox-based contraptions. 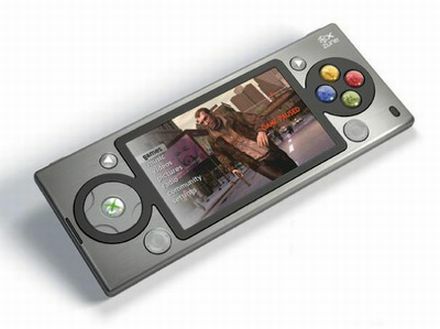 The latest is an Xbox 360-Zune hybrid designed by the concept artists of T3. The specs list is very limited for this concept, but it does impress us with 64GB of flash storage and all the phone functions one could dream of. This is a rather thin device, but I guess that it’s the Zune talking here and its influence. Add a TV-out and decent battery to this portable Xbox 360 and I’ll be its fan. You can find more pics of the device here.